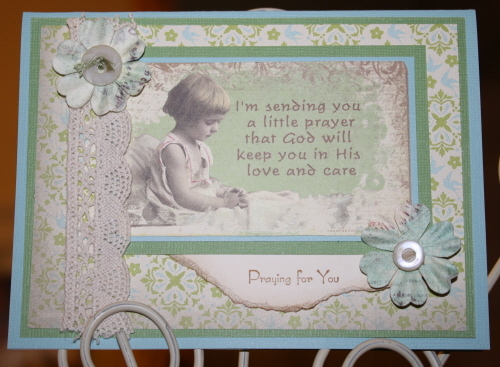 Sad happenings seem to be abundant amongst our friends in this early part of the new year, so recently I've been making quite a few "praying for you" cards. I would much rather be crafting for happy reasons, but I hope that my creations and notes will bring some small measure of comfort to those who are hurting & who are so dear to us. I hope all is well with you & yours, and if it isn't, may you know the peace, love, and comfort that may be found in our Savior, Jesus Christ. I'm sorry to hear of all of the difficult situations among your friends. They are blessed to have you in their life. It's nice to see your work again : ) These cards are so pretty! 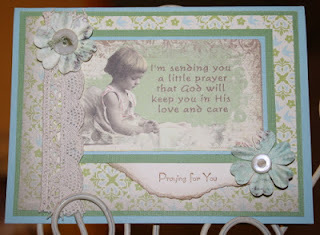 Beautiful cards that I'm sure will touch each person you give them to. 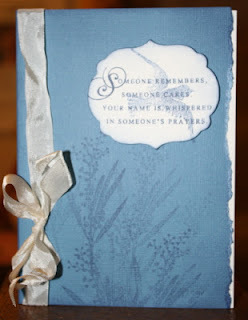 I too use my gift to craft to encourage others, I am going to follow your blog and would love it if you followed mine. Blessings to you. Oh my stars ... it's just been WAY TOO LONG since I last visited you ... for that I do apologize!! So sorry to hear of the difficulties surrounding you ... I will pray for better days! 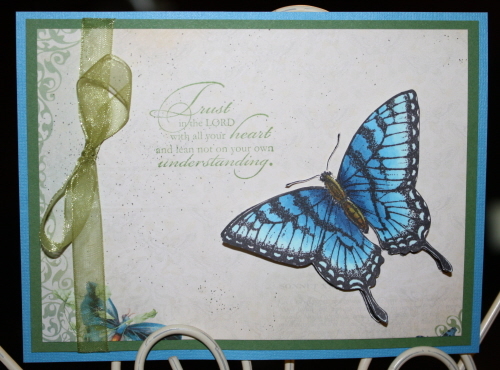 Your cards are as fabulous as I remember them and I'm so thrilled you came to join in our February Linky Party at Crafty Secrets! You are quite the inspiration! Beautiful cards my friend!